Every bag needs a ZIPPY PURSE. 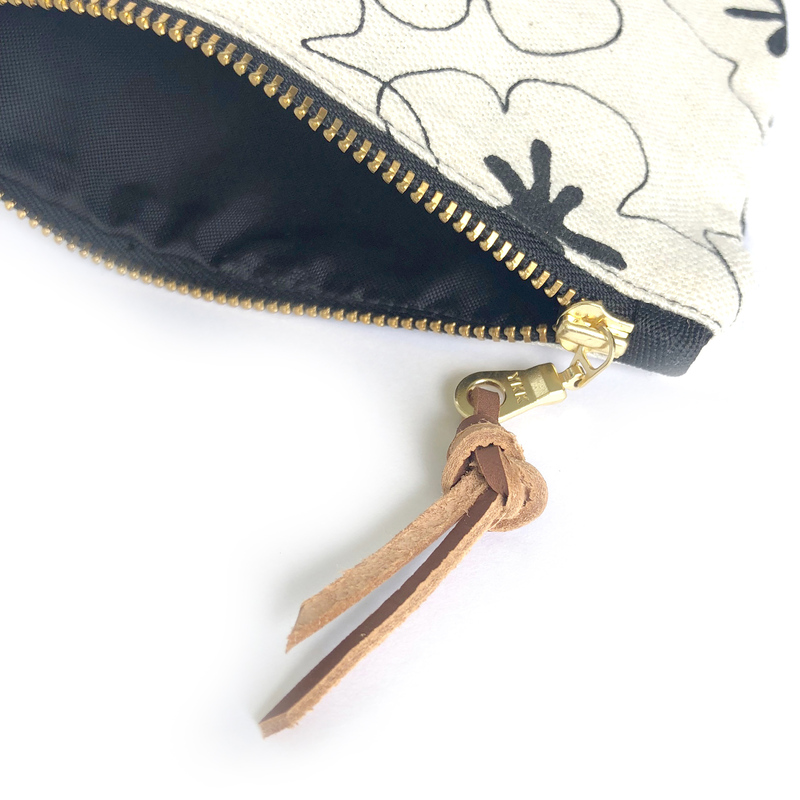 It is the perfect size for loose change, lippy and all those bits and bobs that jingle around at the bottom of your bag. 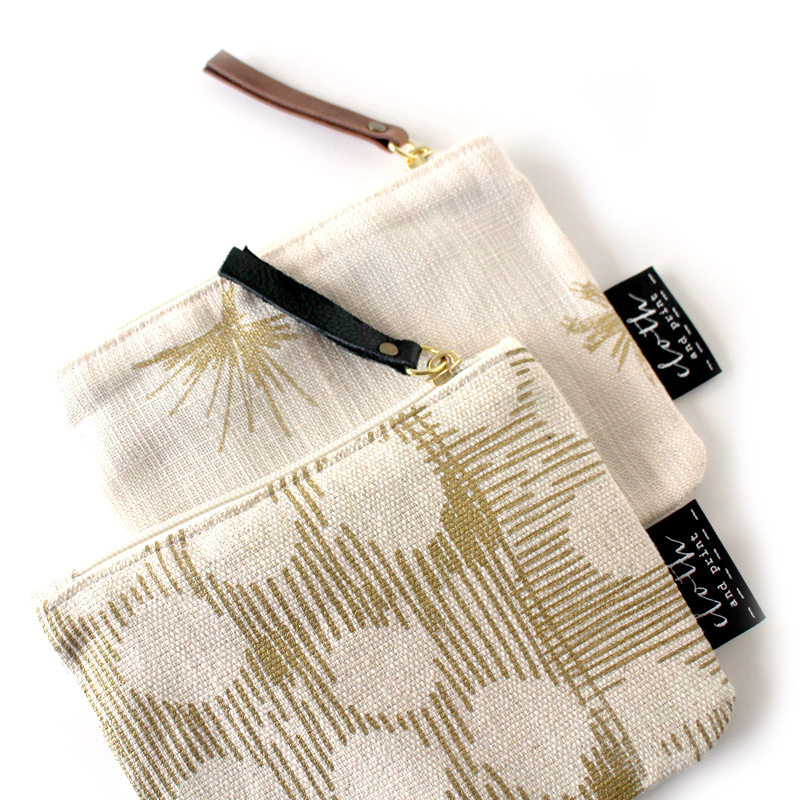 This ZIPPY PURSE is hand screen-printed with original designs onto locally sourced 100% cotton and linen/cotton using water-based inks. Notify me when BLOCKOUT gold on black zippy purse is available.